Watch as a pair of coyotes come in fast to a distress sound while on one of our guided coyote calling hunts. The hunter misses the back coyote, but then makes a follow up shot on the 2nd coyote, after the guide gets him to stop. Coyotes are surely some of the smartest animals on the planet, but they are not humans. Coyotes don’t know exactly what a gun shot is, however they are typically scared of loud noises & humans. Occasionally, coyotes will hold after a shot has been fired & sometimes you can even call them back in. Make the first shot count. If you miss 1 coyote, don’t quit calling & do NOT panic. Refocus on the next coyote & make it count. 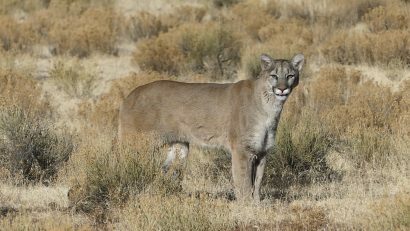 Stay quite until you are sure NO more coyotes are coming or are in the area. 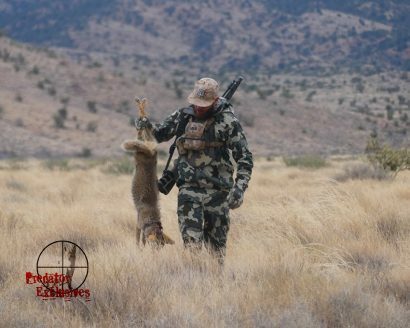 When you book a predator hunt with us, you not only get to enjoy the Arizona Desert & calling predators, you get a chance to hunt with some of the most experienced predator hunters in the world.